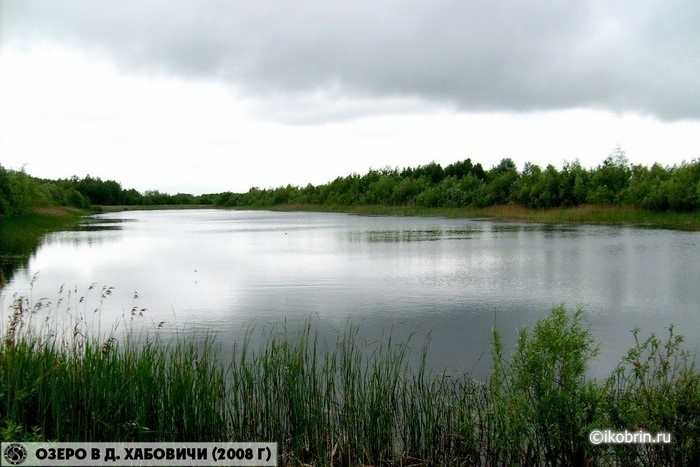 In 1993 at the request of inhabitants of Habovichi in the natural boundary Parkhomovshchina the artificial reservoir intended for for the organization of leisure of the population, 3 hectares of water smooth surface was created. In 1994 in a reservoir whitebaits are started: rudds, som, vyyun, perch, crucian, pike, small fry. In the fall of 2011 cleaning of the lake of coastal vegetation was carried out, process of bogging of a reservoir thereby was stopped. The artificial reservoir called in the people by the lake is the favourite vacation spot and fishings of inhabitants.